Most webmasters who must manage and maintain an Apache server installation are already familiar with Apache, either through the online available documentation from the Apache Software Foundation (ASF) or through the various Apache books on the market. 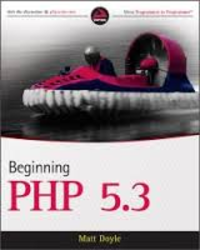 The purpose of this book is to pro-vide a concise but, fairly complete reference to the various Apache knobs and levers with which the webmaster is confronted at compile time, conguration time, and runtime. 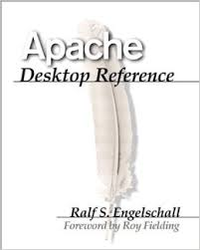 Thus the audience of this book consists of webmasters who are already familiar with Apache, but who need a reference on a daily basis. 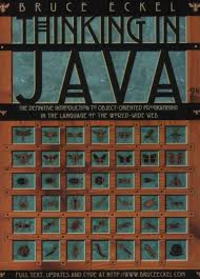 This book was designed with one thing in mind: the way people learn the Java language. Seminar audience feedback helped me understand which parts were difficult and needed illumination. In the areas where I got ambitious and included too many features all at once, I came to know – through the process of presenting the material – that if you include a lot of new features, you need to explain them all, and this easily compounds the student’s confusion. As a result, I’ve taken a great deal of trouble to introduce the features as few at a time as possible. The goal, then, is for each chapter to teach a single feature, or a small group of associated features, in such a way that no additional features are relied upon. That way you can digest each piece in the context of your current knowledge before moving on. You can’t just look at C++ as a collection of features; some of the features make no sense in isolation. You can only use the sum of the parts if you are thinking about design, not simply coding. 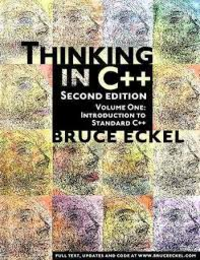 And to understand C++ this way, you mustunderstand the problems with C and with programming in general. 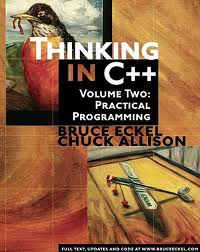 This book discusses programming problems, why they are problems, and the approach C++ has taken to solve such problems. The completion of the C++ Standard also added a number of important new libraries, such as string and the containers and algorithms in the Standard C++ Library, as well as new complexity in templates. 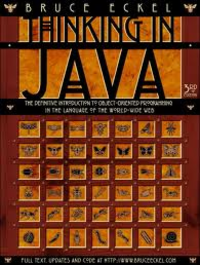 These and other more advanced topics have been relegated to Volume 2 of this book, including issues such as multiple inheritance, exception handling, design patterns, and topics about building and debugging stable systems. 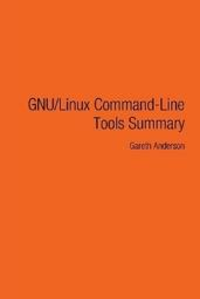 This document is an attempt to summarise the many command-line based tools available to a GNU/Linux based operating system. 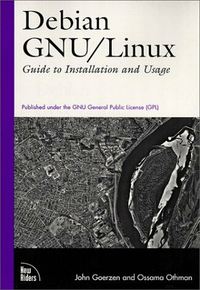 This guide is not a complete listing (I doubt it's possible to document all available programs), this document lists many tools which are available to GNU/Linux systems and which are, or can be useful to the majority of users. Each tool description provides a quick overview of it's function and some useful options for that individual tool. 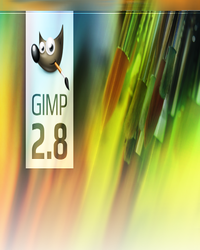 The tools listed that require a GUI, usually the X windowing system, are those listed in the Graphics Tools section. All other tools are completely command-line-based and do not require a GUI to run. 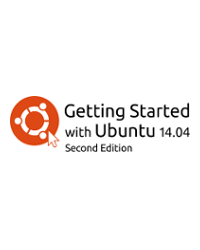 Welcome to Getting Started with Ubuntu, an introductory guide written to help new users get started with Ubuntu. 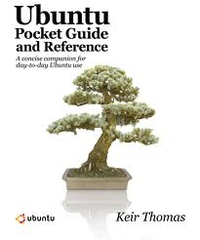 Ubuntu Pocket Guide and Reference is a compact yet comprehensive guide to everyday Ubuntu use. It's ideal for those who need vital information on all aspects of using Ubuntu, but who don’t have time to wade through thick documentation. 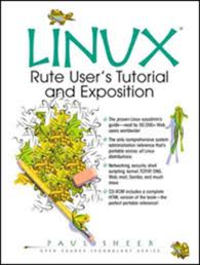 LINUX: Rute Users Tutorial and Exposition is the only Linux sysadmin's guide proven by 50,000+ Web users. It presents in-depth coverage of all aspects of system administration: user management, security, networking, Internet services, packages, config files, shell scripting, and more. It also contains detailed cross-references to LPI and RHCE certification topics, making it invaluable for exam preparation. 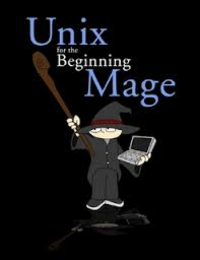 Unix Mages started in the summer of 2005 with the purpose of teaching Unix and Linux by using stories of wizards, mages, magic, and spells. The biggest part of the site was the book, Unix For the Beginning Mage. It received rave reviews and is still frequently downloaded. It has been used by people of all ages for, both, personal use and as official classroom material. 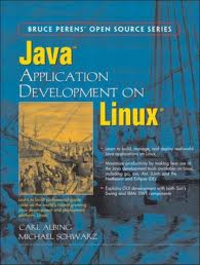 Advanced Linux Programming is intended for the programmer already familiar with the C programming language. Authors Alex Samuel, Jeffrey Oldham, and Mark Mitchell of CodeSourcery, LLC take a tutorial approach and teach the most important concepts and power features of the GNU/Linux system in application programs. 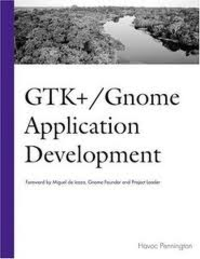 If you're a developer already experienced with programming for the GNU/Linux system, are experienced with another UNIX-like system and are interested in developing GNU/Linux software, or want to make the transition for a non-UNIX environment and are already familiar with the general principles of writing good software, this book is for you. Emacs is the extensible, customizable, self-documenting real-time display editor. This manual describes how to edit with Emacs and some of the ways to customize it; it corresponds to GNU Emacs version 24.3. We call Emacs advanced because it can do much more than simple insertion and deletion of text. It can control subprocesses, indent programs automatically, show multiple files at once, and more. Emacs editing commands operate in terms of characters, words, lines, sentences, paragraphs, and pages, as well as expressions and comments in various programming languages. Determined to spare other developers hours of trial and error, Albing and Schwarz demonstrate the platform, tools, and application development by showing realistic, easy-to-follow examples. One of the many advantages of free operating systems, as typified by Linux, is that their internals are open for all to view. The operating system, once a dark and myste-rious area whose code was restricted to a small number of programmers, can now be readily examined, understood, and modified by anybody with the requisite skills. Linux has helped to democratize operating systems. The Linux kernel remains a large and complex body of code, however, and would-be kernel hackers need an entry point where they can approach the code without being overwhelmed by com-plexity. 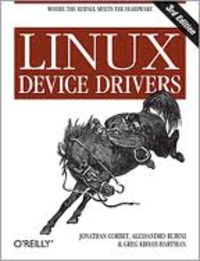 Often, device drivers provide that gateway. 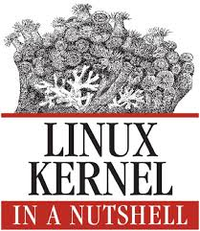 Written by a leading developer and maintainer of the Linux kernel, Linux Kernel in a Nutshell is a comprehensive overview of kernel configuration and building, a critical task for Linux users and administrators. No distribution can provide a Linux kernel that meets all users' needs. Computers big and small have special requirements that require reconfiguring and rebuilding the kernel. Whether you are trying to get sound, wireless support, and power management working on a laptop or incorporating enterprise features such as logical volume management on a large server, you can benefit from the insights in this book. 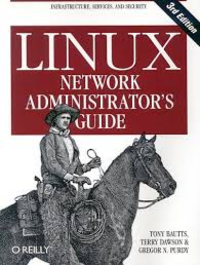 The Linux Network Administrator's Guide dispenses all the practical advice you need to join a network. Along with some hardware considerations, this highly acclaimed guide takes an in-depth look at all of the essential networking software that comes with the operating system-including basic infrastructure (Tcp/Ip, wireless networking, firewalling) and the most popular services on Linux systems. The third edition of the Linux Network Administrator's Guide does more than just spruce up the basics. It also provides the very latest information on the following cutting-edge services: Wireless hubs OpenLdap FreeS/Wan Imap Spam filtering OpenSsh Bind Ipv6 Featuring a litany of insider tips and techniques, the Linux Network Administrator's Guide is an invaluable companion for any network administrator interested in integrating Linux into their Windows environment. The biggest factor in a company's decision to go with Linux is overcoming the support issues. Adopting Linux successfully means taking on a different approach to support. Since Linux is open source, there are different methods to get the support that companies need. This includes deeper skills on how to investigate problems, how to get help from the open source community (i.e.how to ask for help on usenet) and how to resolve problems in-house without the extra cost of a consultant. 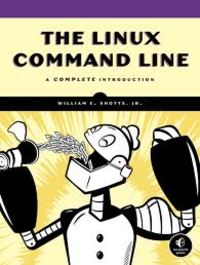 This book should be an essential part of every company's Linux adoption plan to keep the total cost of ownership (TCO)down and improve the ROI of their Linux strategy. 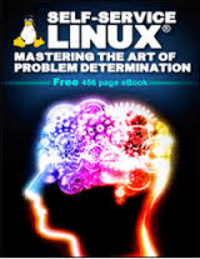 It is also a book tha tadvanced Linux professionals running their own Linux systems will be able to use to troubleshoot. You've experienced the shiny, point-and-click surface of your Linux computer. Now dive below and explore its depths with the power of the command line. 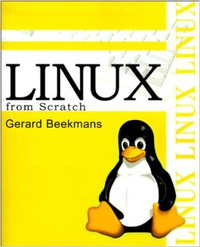 In addition the author reveals the philosophy behind these tools and the rich heritage that your desktop Linux machine has inherited from Unix supercomputers of yore. 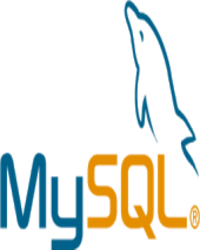 Many Web applications make use of a database to store data, and this book contains three chapters on working with MySQL databases. Many people still believe that learning Linux is difficult, or that only experts can under stand how a Linux system works. Though there is a lot of free documentation available, the documentation is widely scattered on the Web, and often confusing, since it is usually oriented toward experienced UNIX or Linux users. 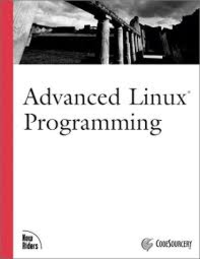 Today, thanks to the advancem ents in development, Linux has grown in popularity both at home and at work. 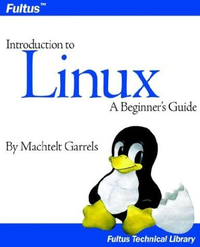 The goal of this guide is to show people of all ages that Linux can be simple and fun, and used for all kinds of purposes. This guide describes a work in progress, to port Linux to a custom PowerPC-based board. This means making the operating system work on unfamiliar hardware. Anyone who is on the same track might benefit from reading this paper, as it highlights the pitfalls and problematic points along the way. Many people still believe that learning Linux is difficult, or that only experts can understand how a Linux system works. Though there is a lot of free documentation available, the documentation is widely scattered on the Web, and often confusing, since it is usually oriented toward experienced UNIX or Linux users. Today, thanks to the advancements in development, Linux has grown in popularity both at home and at work. 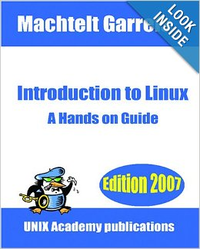 The goal of this guide is to show people of all ages that Linux can be simple and fun, and used for all kinds of purposes. 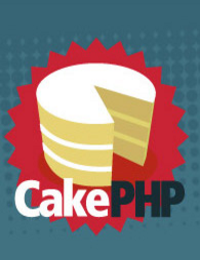 The CakePHP framework provides a robust base for your application. It can handle every aspect, from the user’s initial request all the way to the final rendering of a web page. And since the framework follows the principles of MVC, it allows you to easily customize and extend most aspects of your application. The framework also provides a basic organizational structure, from filenames to database table names, keep- ing your entire application consistent and logical. This concept is simple but powerful. Follow the conven- tions and you’ll always know exactly where things are and how they’re organized. 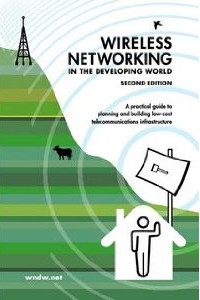 The overall goal of this book is to help you build affordable communication technology in your local community by making best use of whatever re-sources are available. sing inexpensive off-the-shelf equipment, you can build high speed data networks that connect remote areas together, provide broadband network access in areas that even dialup does not exist, and ultimately connect you and your neighbors to the global Internet. By using local sources for materials and fabricating parts yourself, you can build reliable network links with very little budget. And by working with your local community, you can build a telecommunications infrastructure that benefits everyone who participates in it. FreeBSD is a high-performance operating system derived from the Berkeley Software Distribution(BSD), the version of UNIX developed at the University of California at Berkeley between 1975 and 1993. FreeBSD is not a UNIX clone. Historically and technically, it has greater rights than UNIX System V to be called UNIX. Legally, it may not be called UNIX, since UNIX is nowaregistered trade mark of The Open Group. 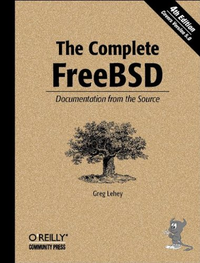 This book is intended to help you get FreeBSD up and running on your system and to familiarize you with it. 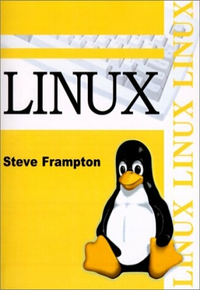 It can’t do everything, but plenty of UNIX books and online documentation are available, and a large proportion of them are directly applicable to FreeBSD. In the course of the text, I’ ll repeatedly point you to other documentation. The Vim text editor is perhaps as famous for its learning curve as it is for its contributions to productivity. Vim isn't "intuitive" in the way other applications claim to be. You cannot use it by simply replicating the actions you perform with a word processor, by clicking on menu items aimlessly until you achieve your desired effect. But this is by design. 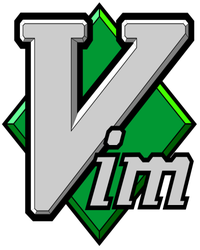 The major strength of Vim is that it does things differently to magnificent effect . It permanently alters the way in which you regard text editors and software in general. And that is why, in 2009, I am putting the finishing touches to a free book about a text editor whose ancestry can be traced back to 1976. This book is aimed at readers who are new to Debian GNU/Linux. It assumes no prior knowledge of GNU/Linux or other Unix-like systems, but it does assume very basic general knowledge about computers and hardware; you should know what the basic parts of a computer are, and what one might use a computer to do. In general, this tutorial tries to help you understand what happens inside a Debian system. The idea is to empower you to solve new problems and get the most out of your computer. 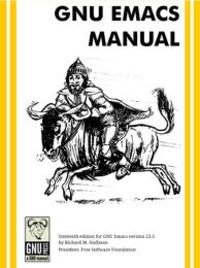 Thus there's plenty of theory and fun facts thrown in with the ``How To'' aspects of the manual. 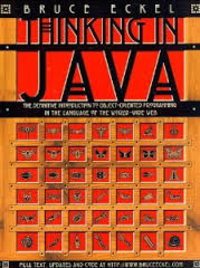 This book owes its existence to the collaboration made possible by the Internet and the free software movement. Its three authors—a college professor, a high school teacher, and a professional programmer—have yet to meet face to face, but we have been able to work closely together and have been aided by many wonderful folks who have donated their time and energy to helping make this book better. 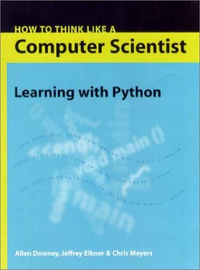 We think this book is a testament to the benefits and future possibilities of this kind of collaboration, the framework for which has been put in place by Richard Stallman and the Free Software Foundation. 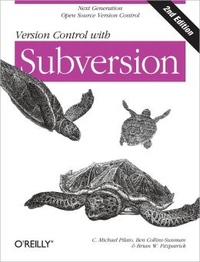 Subversion can operate across networks, which allows it to be used by people on different computers. At some level, the ability for various people to modify and manage the same set of data from their respective locations fosters collaboration. Progress can occur more quickly without a single conduit through which all modifications must occur. And because the work is versioned, you need not fear that quality is the trade-off for losing that conduit—if some incorrect change is made to the data, just undo that change.